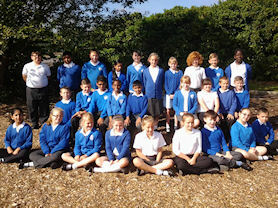 Welcome to Year 5 where we follow the Primary framework for Maths and English. 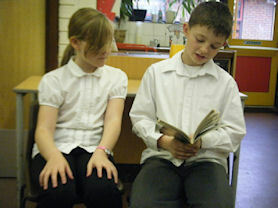 We will learn about writing traditional stories, myths and legends as well as instructions, recounts and persuasion. 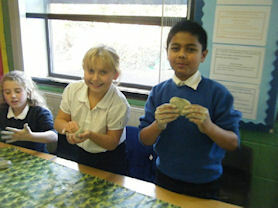 In Science we learn about keeping healthy, the life cycle of flowering plants and changing state of materials. We have PE on Tuesday and Friday, where we practice skills for a variety of games, dance and gymnastics throughout the year. During the year we will also be studying the local High Street, learning what life was like for children in Victorian England and finding out all about Planet Earth. 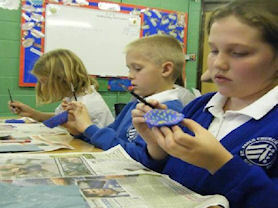 Children in Year 5 are welcome to attend homework club after school every Wednesday. 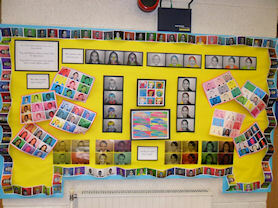 A display inspired by Andy Warhol. 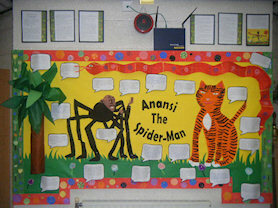 A display on Anansi The Spider-Man. 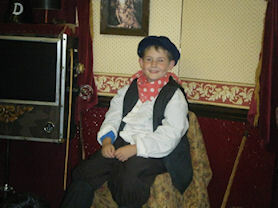 Dressed up as a Victorian child. 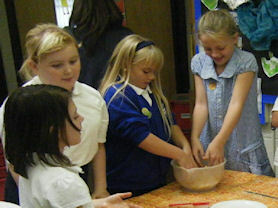 Cooking apple crumble to celebrate harvest.